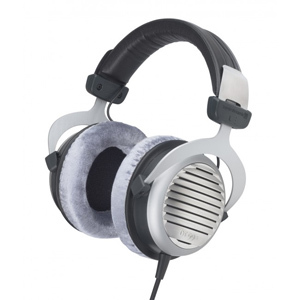 Extra soft ear cushions covered with skin-friendly material make even long hours of listening a delight. 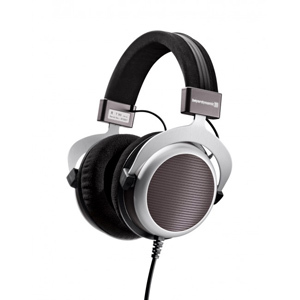 The large acoustic chambers with strong neodymium magnets and Mylar diaphragm guarantee powerful bass and clear trebles. The high-tech plastic Mylar is resistant to temperature and moisture, which make both headphones suitable for use on the street. The mp3 generation wears full size hi-fi headphones not only because of the high quality sound, but also as an urban fashion statement. The DTX 710 offers beginners a start in the world of hi-fi. With deep bass and slightly elevated presence, it sounds fresh and crisp even on more feeble mobile players. 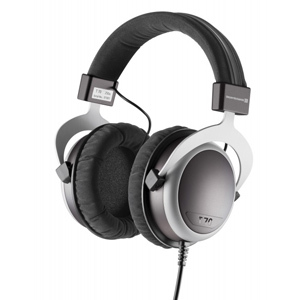 Its open design does not hermetically shield the music fan from his environment, and unlike small headphones, which have to have a firm grip on the ear, the sound quality doesn’t change because of a false move when wearing them. The pleasurable sound of the DTX 710 remains just as good whether you are at home listening to the stereo system or out and about. The black matt cover can swivel 90 degrees meaning that the headphones can be flattened to fit into any notebook bag and messenger bag. 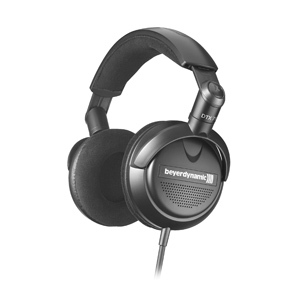 The DTX 910 puts particular emphasis on sound purity and high detail resolution. Its linear and natural tuning appeals to classical music enthusiasts and all music fans, who expect sophisticated sound reproduction from their stereo system at home, which does not mean that it is not fun to use when out and about. On the contrary: after taking off the standard 6.35 mm connector, the DTX 910 and the DTX 710 can both be plugged into the headphone jack on mobile devices. 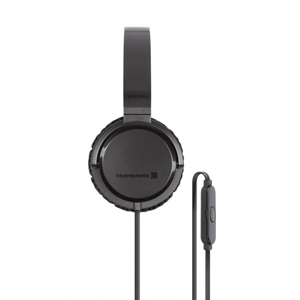 High efficiency and a sound level of 98 decibels guarantee powerful sound. With its 90 degree swivelling ear cup in a black metallic look, it is ready to use and can be stored away just as quickly taking up little space after use. As with the entire DTX range, the three meter long cable is only connected to one ear cup which increases wearing comfort and reduces the risk of entanglement.